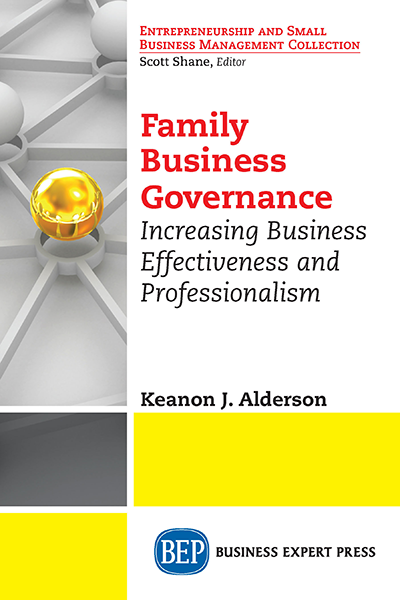 Keanon J. Alderson holds an MBA and a PhD in organization and management. He is a professor of management at California Baptist University in the Robert K. Jabs School of Business where he teaches a family business management course. 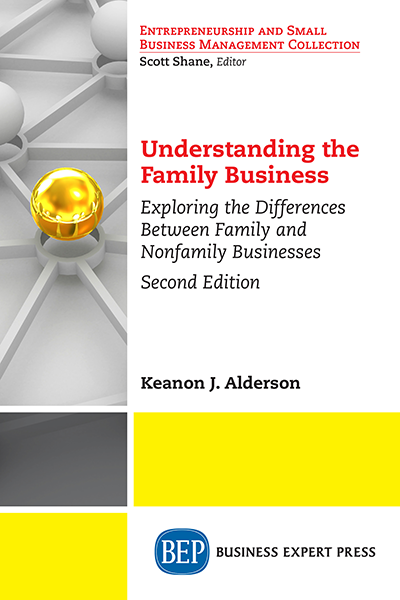 His research has been published in the Thunderbird International Business Review, the Journal of Family Business Management, Family Business Magazine, and his own book Understanding the Family Business: Exploring the Differences between Family and Non-family Firms, by Business Expert Press (2018). He has contributed five chapters to collected volumes, presented to numerous audiences, and is in demand as a speaker. He consults with family-owned firms on succession, developing an effective board, corporate and family governance, preventing conflict, decision making, and increasing the professional- ism and effectiveness of family owned firms.